What to do with wilting basil? 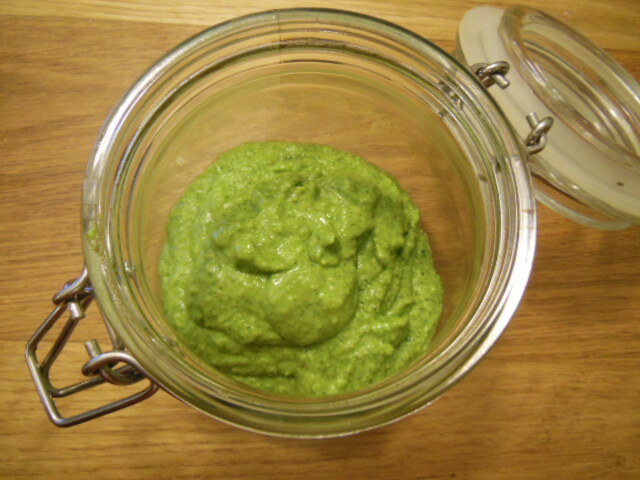 It has sat there for a week, neglected and forgotten; we finally came to the rescue just in time and whipped up a basil pesto. 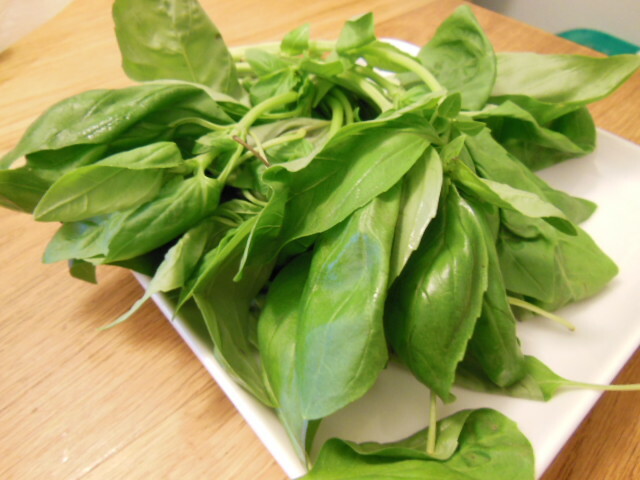 The basil was bought from the International Supermarket and still is pungent and has made an intense green pesto. Put all the ingredients into a jug, blitz with a hand held blender, adding enough olive oil to get the smooth texture you want. Bottle up into an air tight container and keep in the fridge for 1-2 weeks. You can use this in a simple pasta sauce adding it to cream or tomato passata; it will make a pesto butter smeared onto chicken breasts before grilling; it could be diluted with more olive oil and vinger into a salad dressing; added to quiches or soups; or may be even pesto, grilled bacon bits and grated cheese as a wintery jacket potato filling. How would you use your homemade basil pesto? 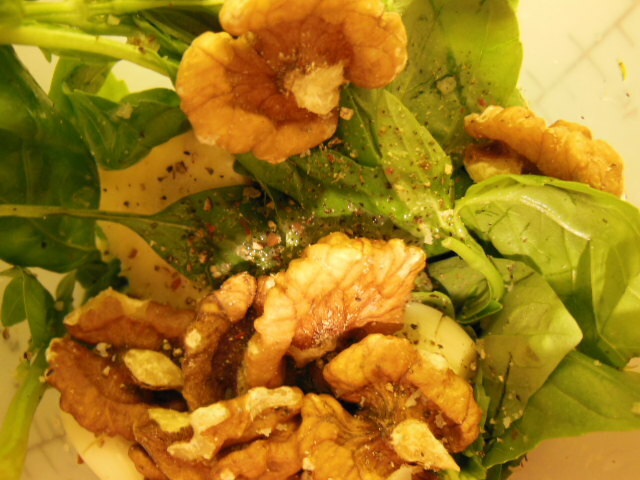 This entry was posted in Recipes and tagged basil, pesto, walnut pesto. Bookmark the permalink. 2 Responses to What to do with wilting basil? This looks delicious, and the International Supermarket stocks inexpensive fresh herbs, usually of very good quality. For a healthier (non-dairy) option, try swapping out cheese for cashew nuts – they’re a little drier so increase the amount of olive oil used by a few drops.